An EBF Maiden Stakes over 7f 14y on standard going. An intriguing race with a winner in a maiden race. How come? Well, David Simcock's Sincil Bank won on debut over course and distance but disqualified after drifting left in the final furlong hampering Mushaireb. Jamie Spencer takes the ride today and connections will be hoping they can achieve a win. Suspect Package made his debut in that race for James Fanshawe, finishing a creditable third. This bay colt is a son of Lonhro owned by Apple Tree Stud. 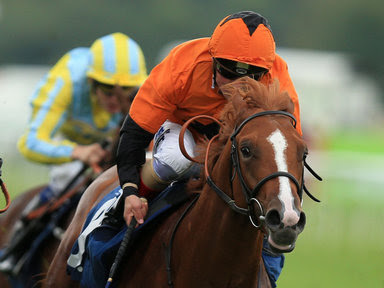 He was purchased at the breeze-up sales for 40,000G by Barberini Bloodstock. This April foal was ring rusty that day but plugged on in the closing stages. It is often too easy to feel a beaten horse will suffer a similar loss when re-opposing. That may well be the case today. However, it is worth noting that these horses are often overpriced offering value by a psychological theory called the contrast principle. Which details that punters often overestimate the likelihood of a horse beating a defeated opponent again. Fanshawe's juvenile can often improve significantly for their debut run and there is little doubt in my mind this youngster will be primed today. From a statistical point of view Suspect Package holds very good each-way claims. The slight annoyance is tat this race only offers two places for each-way backers being seven runners. In theory, he has very good claims for two places so if priced 4/1+ is a fair each-way bet. I would be tempted to bet on the exchanges as you are likely to find much bigger win odds. In that respect, I would probably cover all angles and have a win bet on both favourites and hope the bigger of the two wins. A Maiden Fillies' Stakes over 7f on standard going. A big field of 14 two-year-olds. Interested in seeing how Chica De La Noche goes here. She has been very unlucky and I gave her a chance in a hot maiden at Yarmouth last start after showing up when the time before when caught on the line. This bay daughter of Teofilio was a biggish price at Yarmouth but ran poorly. I am always fearful that juveniles can regress quickly. That is a gamble in itself because in some ways a big price does tempt to take the plunge once more but was that just an off day or a complete nose dive with no hope of returning to form? Only time will tell. It does put me off betting and unless drifting to astronomical odds I would take a watching brief.